Family Day is back and we invite you to explore The Great Outdoors! Grab a map and travel north, south, east and west, discovering free games, activities and events as you go! Scale mountains to giddy heights, take a dip in our blue lagoon and venture into our woodland forest. 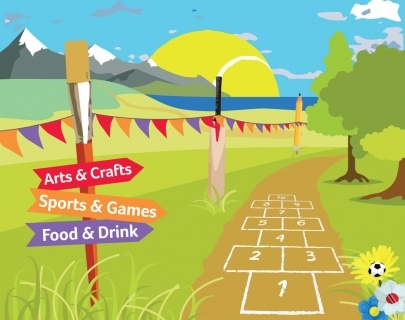 Enjoy a range of outdoor pursuits, including archery, cricket and tennis, or get creative in our art and craft workshops – you’ll be busy all day! There are plenty of opportunities for weary explorers to relax and take a break: bring supplies to enjoy in our picnic areas, or sample some delicious treats from our market stalls. If you are looking for more family fun, you can watch free adventure-filled films in our cinema, or enjoy the magic of The Carnival of the Animals in our theatre (advance booking recommended).